Hanukkah begins tomorrow night. Who wouldn’t love a celebration that lasts eight days and involves lighting pretty candles, exchanging gifts, playing games that involve chocolate coins and eating foods that have been fried in oil? Hanukkah features foods fried in oil in remembrance of the oil that miraculously burned for 8 days back in the day. The two most popular delicacies would be potato latkes and jelly doughnuts, also known as sufganiyot. 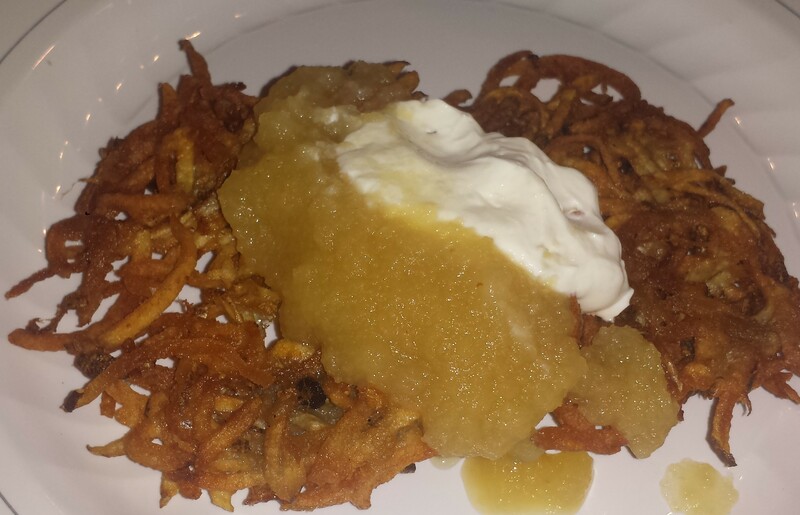 I also added a recipe for a really easy no-peel applesauce, since no latke is complete without (in my opinion). 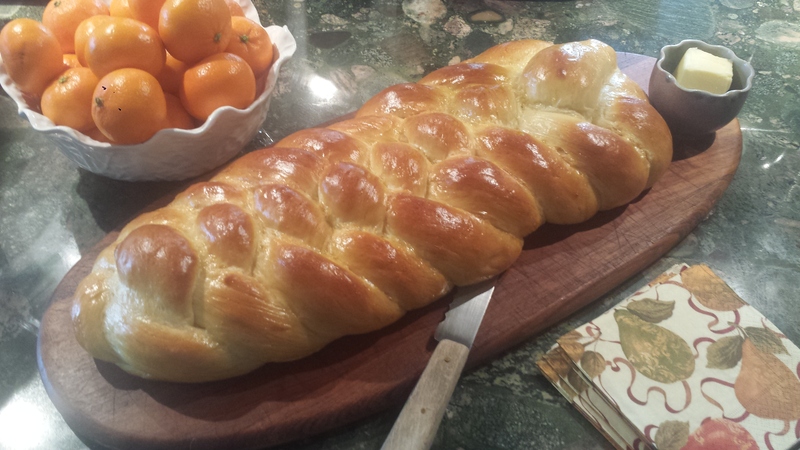 Of course, a nice 6 braid challah is always a good idea too. Click through for recipes and original posts. Dough fried in oil, filled with jelly and sprinkled with powdered sugar – need I say more? Just do it. This entry was posted in All Recipes, Jewish, vegetarian and tagged 6 braid challah, breadmaker challah., Hanukah, Hanukkah, homemade applesauce, jelly doughnuts, no peel applesauce, potato latkes, sufganiyot. Bookmark the permalink. Food for thought and friendship. 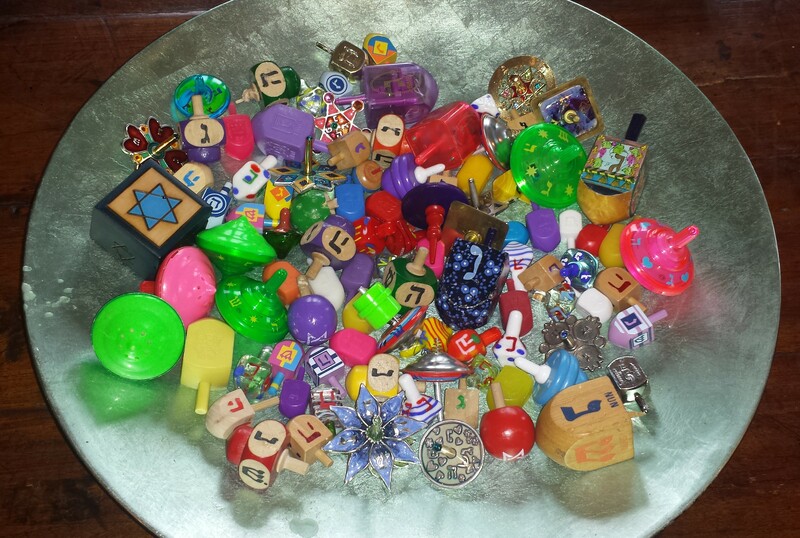 I interrupt my own Chanukkah line-up of recipes to share with you this all-encompassing post by lovely Joyce that contains all traditional Chanukkah goodies – and more! Happy Chanukkah, Beautiful People! I miss the potato latkes a coworker used to share. I think they taste best reheated the next day. I’m so embarrassed I misspelled Hanukkah! Either way, enjoy all the good food and celebration. Now I want to make both the latkes and the donuts even though frying is a horror to me. Making challah is much neater than making donuts. I last made it a year ago, this coming January. I won’t be making it this year though since I just made some cozonac (rolled sweet yeast dough with a ground poppy seed filling inside similar to Hungarian kalacs/beigli) so that’s my ‘bread’ for the holiday season. There are several fried treats that I love so I usually plan at least a couple to make the greasy stove worth my while.